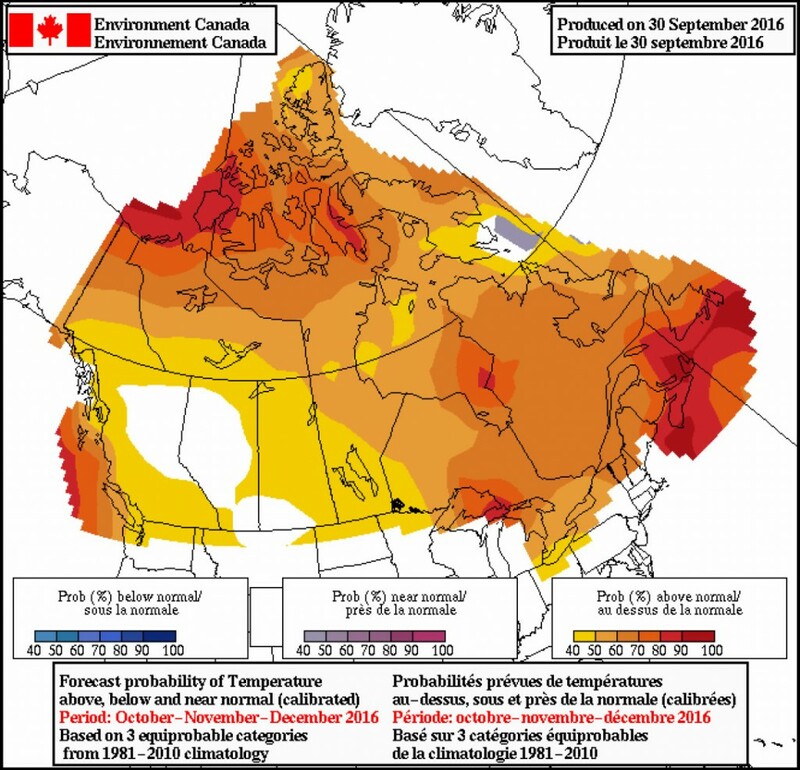 There haven’t been any recent long-term precipitation forecasts from Environment Canada, but the temperature forecast looks like it will be a warm start to winter (map is for Oct.-Dec.). 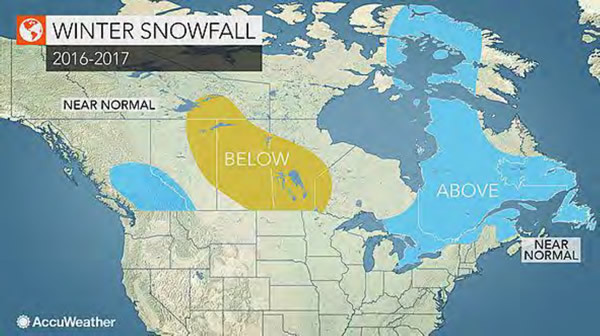 The Accuweather.ca website forecasts above normal snowfall. West coast will get off to a stormy start this winter with several, potent storms bringing heavy rainfall and strong winds to the coast of BC, while heavy snow will quickly pile up in the mountains, which should get the western ski season off to a good start. The pattern will turn drier for the second half of the winter across BC, but with the potential for some brief shots of Arctic air all the way down to the lower mainland of BC, especially in January. 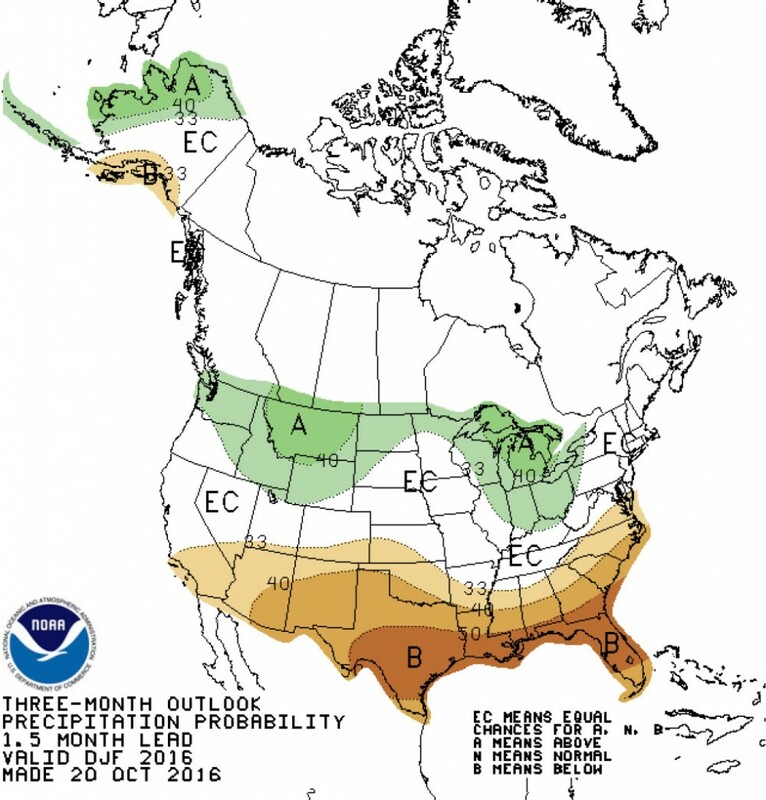 NOAA forecast for December, January and February is also for somewhat above-normal precipitation for northeast Washington. 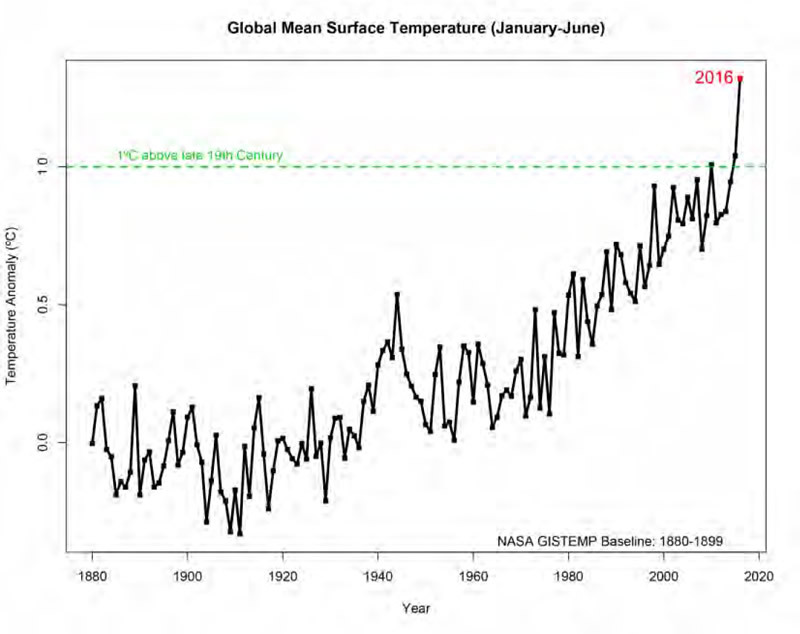 Globally, the temperature trend is warmer and warmer, but 2017 is not forecast to be as warm as 2016, an El Nino year. La Nina years are typically cooler because the winds bring deep, cool ocean water to the surface, and the trends now are for either neutral or moderate La Nina conditions.